Luma Series - LOfx - Prolume, Inc. Manufactured in America and constructed of a sturdy powder coated aluminum housing, the LOfx utilizes industry leading optics to deliver superior lumen output in an attractive low-profile package. 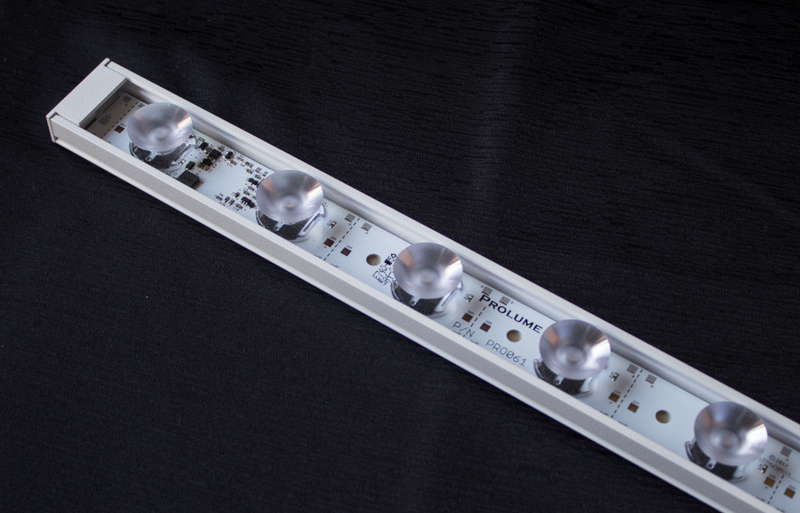 Available in both standard output and high output, the LOfx includes onboard 0 – 10 VDC dimming and can be mounted in either a fixed or articulating position to deliver the optimum desired solution for nearly any linear application. Appropriate for dry environments, with a damp option available, the LOfx satisfies the most demanding needs for specifiers around the globe. Adding optical elements to the outstanding feature set makes it apparent why LOfx has been chosen by specifiers for low profile and broad light distribution applications repeatedly.